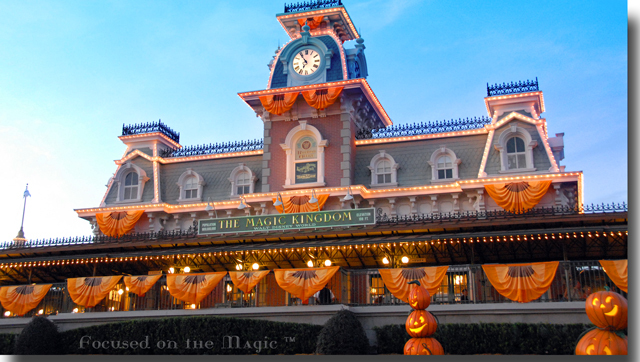 Fall has arrived at Disney's Magic Kingdom. The temperatures may be tropical and the tree leaves falling may be palm fronds but with the a mix of Disney magic, pixie dust and hard work the park has been transformed. 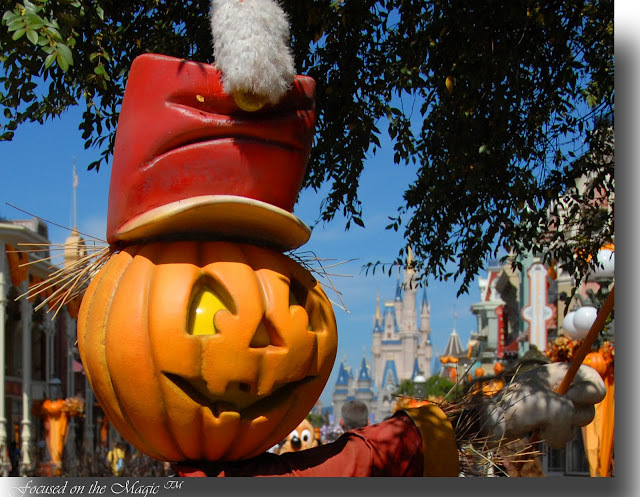 It always amazes me how over the course of a few days summer turns to fall with Halloween decorations setting the stage for the special firework shows, parades and parties like Mickey's Not-So-Scary Halloween Party, Mickey's Boo-To-You Halloween Parade and Happy HalloWishes, held on selected dates during the months of September and October. If you look carefully you can see that the band leader scarecrow's hat is worn, faded and dirty just as if he were out in the field. 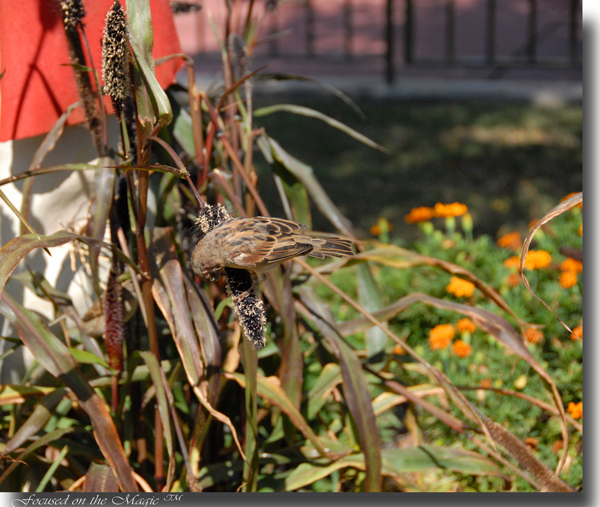 Even the birds appreciate the fall decorations! As we often do on Saturday's I've included a Saturday Shorts video brought to us by The Disney Parks Blog showing a behind the scenes look at the Magic Kingdom transformation process. Do you have a fall trip to the parks in your plans? How beautiful. As always. I still want to grow up and take photos like you. Great photos! 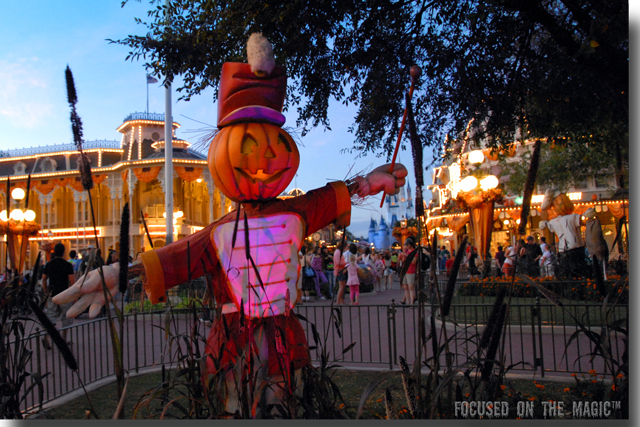 I just got back from Disneyland and it's so cool to see the different fall/Halloween decorations from the other side of the country! Aw, thanks mary. You can take pics like me already... just never grow! 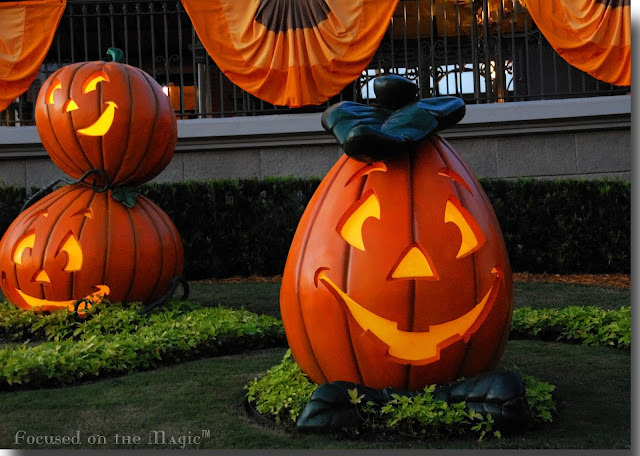 I love the fall decorations in WDW, especially the Jack O' Lanterns"stacked" in front of the train station greeting guests as they come through the turnstiles! I LOVE your shot of the orange lights lit on the RR Station- your photos scream fall!